I was so excited to find this idea, and I took it and ran with it! These are great for so many things. All you need is scrapbook paper and a picture frame…that is it! Well, and a dry erase marker. Just frame the paper of your choice. You could even frame a calendar and wipe it clean every month. The glass acts as the dry erase surface. It works fantastically. 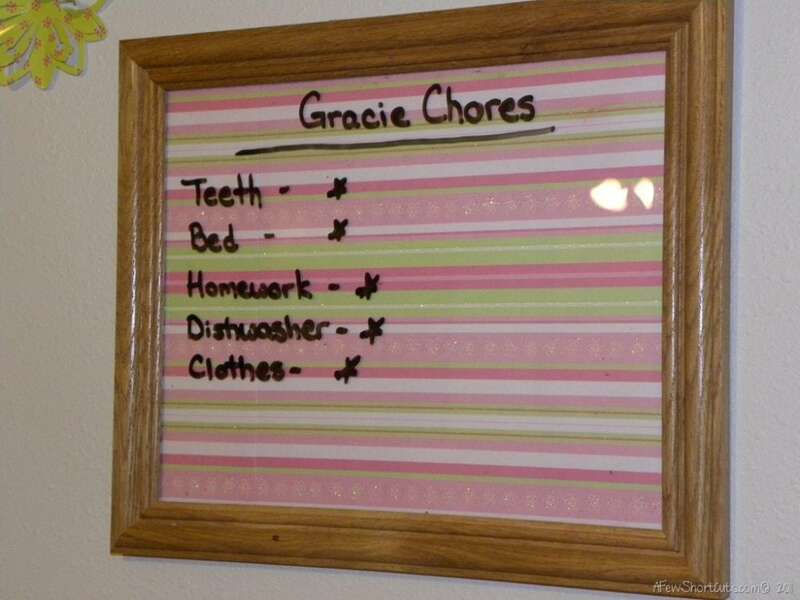 So far we have made the chore charts for each of the kids, and the menu and grocery list for the kitchen. The best part is, it is so easy to change when their interests change…favorite color is purple instead of pink this week..no problem. You can snag some really inexpensive frames from a thrift store or a yard sale, and paint the frame to match very easily. This would even be a fun project for a girls birthday party. 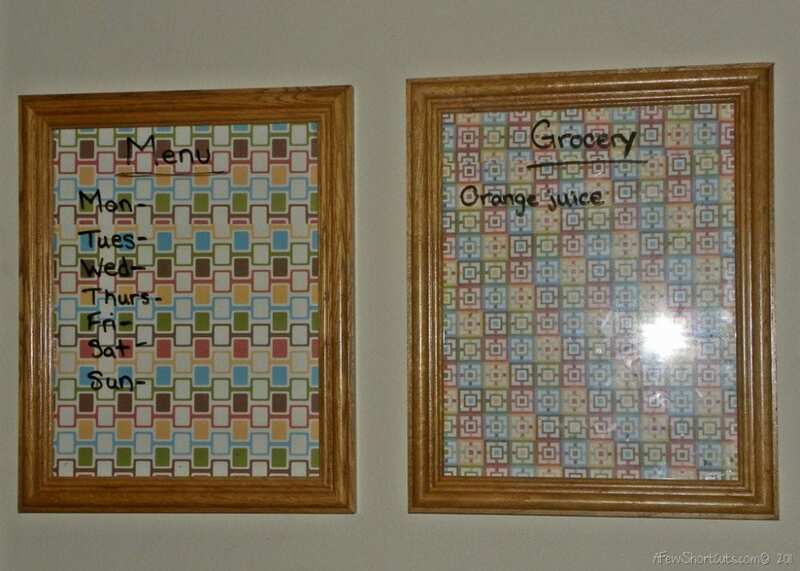 Get smaller frames and let them decorate them before they pic out their paper background. The possibilities are endless! Hope you enjoy this great idea as much as we have! You can find more easy craft projects here!